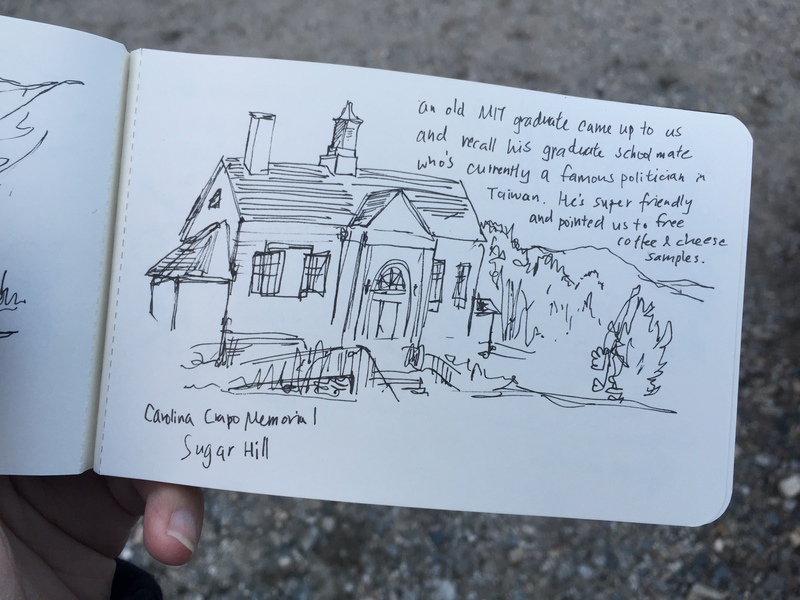 As an avid urban sketcher, I always try to keep a small sketchbook with me at all times. The tiny sketchbook fits into the pocket of my jacket, the inner pockets of my bag, the palms of my hands. A black pen is always clipped to it, because I need to have something to write with at those spur of the moment. First I capture leaves, the buildings, the sky, and the scenery I see. Then I started sketching the people sitting across from me at the T. I started doodling the snippets of conversation I overheard on the bus. Then as I quiet down and open my eyes and ears, I started noting down things going on around me, and eventually, to the voices and questions inside my head. 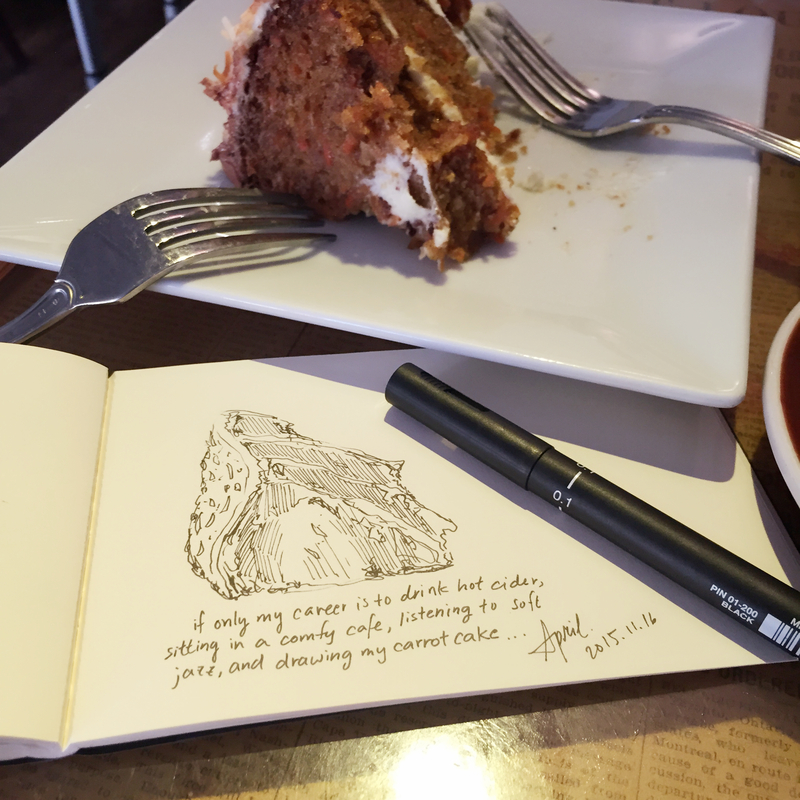 Urban journaling is what I called these acts of discovery, of material things in the world, and of the inner voices of your self. May it be drawings or writing, put it down on paper with a pen. Collect those thoughts and memories. Use your palms as the writing desks and aspire to note down everything, anywhere, everywhere. Take a notebook with you everywhere, and write in it. Reflect on what you record, or let those thoughts go after they are written down and can be ignored. We urban journalers live in the moment and make the best of every second. We are mindful and we are creatives.